Brilliant and eclectic, The Story of Looking is a photo album and an art gallery, a road movie and a visual grammar: once you’ve read it, you’ll never see things the same way again. 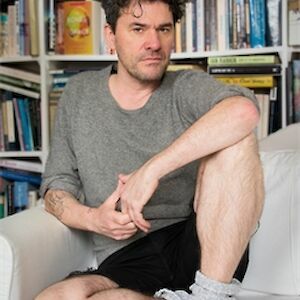 Mark Cousins is a Northern Irish author and filmmaker. His books include Watching. Real. People. Elsewhere and The Story of Film. His films - such as I am Belfast, The First Movie, Atomic and The Story of Film: An Odyssey - have won a Peabody Award, the Prix Italia and the Stanley Kubrick Award, and have been shown in MoMA in New York, at the Cannes film festival, and around the world. He is Honorary Professor of Film at the University of Glasgow. He lives in Edinburgh. “Tall buildings afford looking, not so much outwards from the citadel, but inwards and downwards, into the thing we have built, its circuitry and grid.” Mark Cousins explores status and frailty in this extract from The Story of Looking. 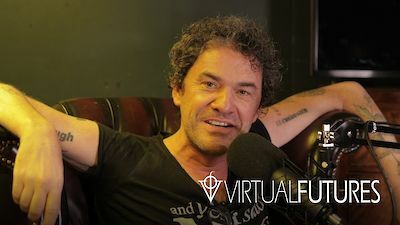 Mark Cousins talks The Story of Looking at Virtual Futures. “We have work lives and love lives, but we also have looking lives.” With The Story of Looking about to come out, Mark Cousins writes in the Observer about our inner photo albums: the visual memories that linger with us.